Dogs love to eat! In fact, they will eat almost anything, whether it’s good for them or not. So it's only natural that we become alarmed when our dogs abruptly stop eating. When they turn their noses up at whatever you have put in their dish, it’s unlikely its because they are being fussy (although occasionally they might be). Here are four reasons why your dog may not be eating. Probably because they have eaten something they shouldn’t, it’s quite possible your dog is suffering from a sore tummy. In less severe cases, they should be eating normally in no time. Provided they have water to drink in the interim, you shouldn’t worry too much. However, some digestive problems shouldn’t be ignored. If your dog suffers from vomiting and diarrhea for longer than 24 hours, and if they fail to eat anything after a prolonged time, you should book a visit to the vet for an immediate check-up. If you were eating the same foods day in and day out, you would get bored too. While dogs aren’t particularly fussy, they may still look at their food with a doleful expression, and then refuse to eat. Add variety to your dog’s diet by changing brands occasionally or mixing up their food. Give your dog canned wet food in the morning and freeze dried raw dog food in the evening, or load their dish with a combination of both. Do anything other than giving them the same food day in and day out in the days and months to come. When we are in pain, we complain to anybody who will listen, before finally plucking up the courage to visit the doctor. 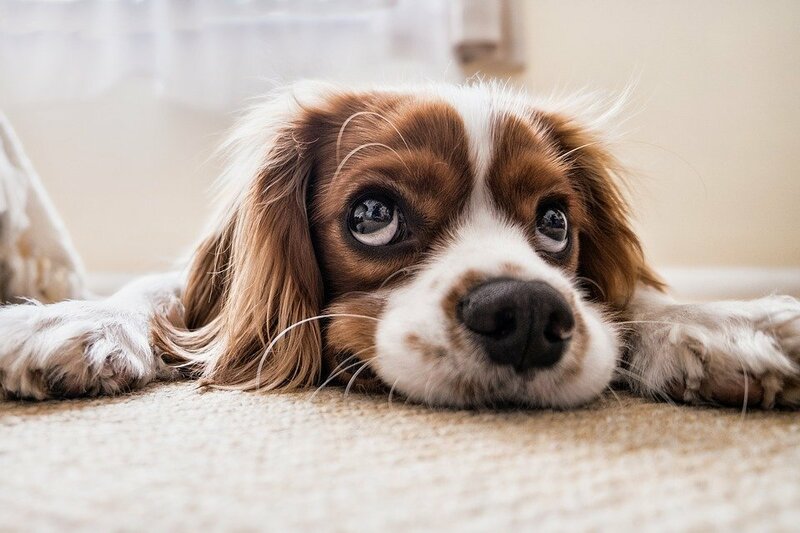 Your dog doesn’t have the same ability to express how it's feeling, although not eating may be one sign that they are suffering from toothache or sore gums. Again, you should book a visit to the vet if you notice any signs of dental pain, and in the interim give your dog soft food to eat and plenty of water to limit the pain that harder, more chewier foods can cause. Dogs are like kids. Overload them with treats and they won’t eat their dinner. Therefore, limit the amount of treats they eat to a few a day. This is good for their health anyway, as too many treats can lead to weight problems, as is the case for those of us tempted to bite into yet another chocolate bar. A good way to heal your pup is by giving him healthy options. Doses of CBD hemp oil for dogs can help with this process. It will ease the pains your dog may have, and help keep them stress-free. Avoid giving your dog human food too, as no matter how tasty it is for your dog, it can both impact their health and cause them to turn their noses up at the dog food they should be eating. The hot weather can also have an effect as can a change in routine. Monitor the situation, follow the advice given to you, and if needed, seek extra help from your vet if the lack of eating becomes a problem. There may be a simple reason why your dog is off his food but never rule out more serious issues that may be the root cause of the problem.